This tutorial is based on all the things that I stupidly forgot to do along the way of tearing down the juvenile giraffe neck that Darren, John Conway and I recently got to take to pieces. At half a dozen different points in that process, I found myself thinking “Oh, we should have done X earlier on!” So it’s not a tutorial founded on the idea that I know how this should be done; it’s about how I am only now realising how it should be done, off the back of my dumb mistakes. What you want is to get the maximum possible information out of your specimen. At each stage of preparation, information is lost — a necessary evil, because of course at the same time new information becomes available. So don’t miss anything early on. If you’re lucky, you’ll get the complete, intact neck to work with. 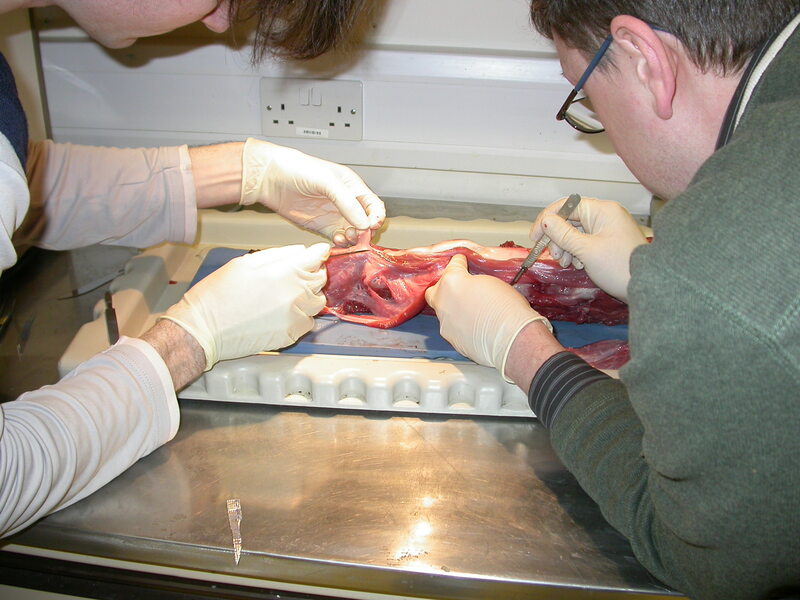 (Ours was not quite intact, having been skinned, and lost an indeteminate amount of superficial muscle and ligament in the process.) 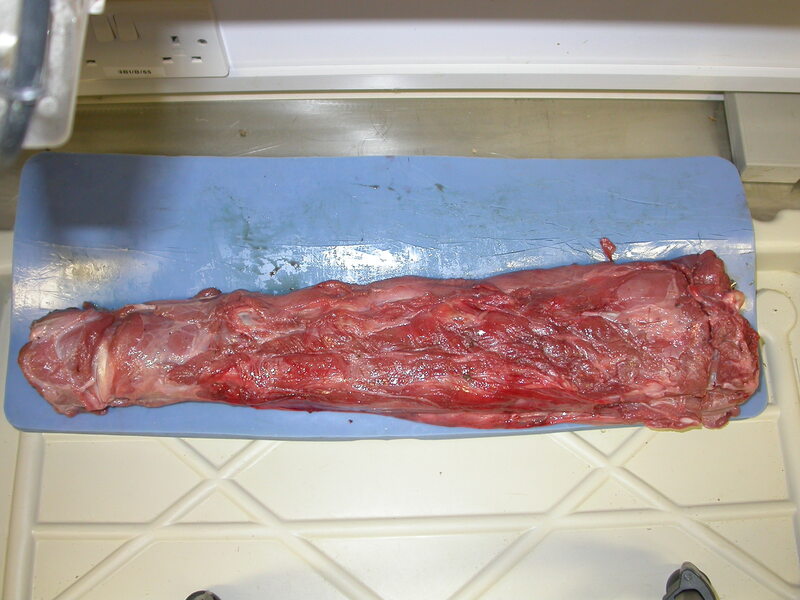 So before you start cutting, photograph the neck in dorsal, ventral, lateral, anterior and posterior aspects. total length, front of atlas to back of last centrum. These last three are hard to do, because “maximum” flexion, extension and deflection are not exact things. You can always push or squeeze or bend a bit harder. These are the unpleasantly messy aspects of working with animals rather than robots — most kinds of tissue are flexible and resilient. You just have to do the best you can, and supplement your measurements with photographs of the neck bent in each direction. Now you’re ready to start taking that baby apart. Get the skin off, then redo all your photos and redo all your measurements — yes, even total length, even though you “know” removing the skin can’t affect that. Because you don’t know what you don’t know. Does removing the skin affect the maximum range of movement? How much of the neck’s total mass was due to the skin? 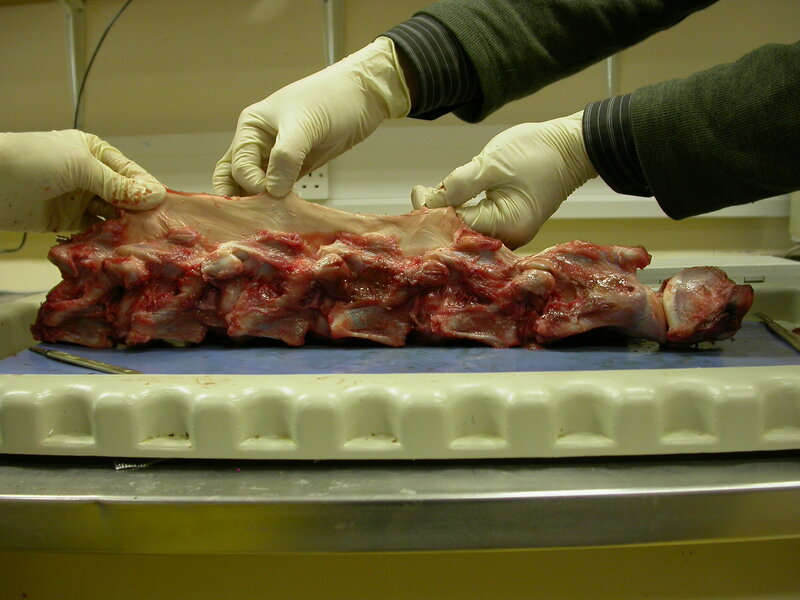 Weigh the skin as well: does its mass added to that of the deskinned neck add up to that of the intact neck? If not, is the discrepancy due to blood loss? 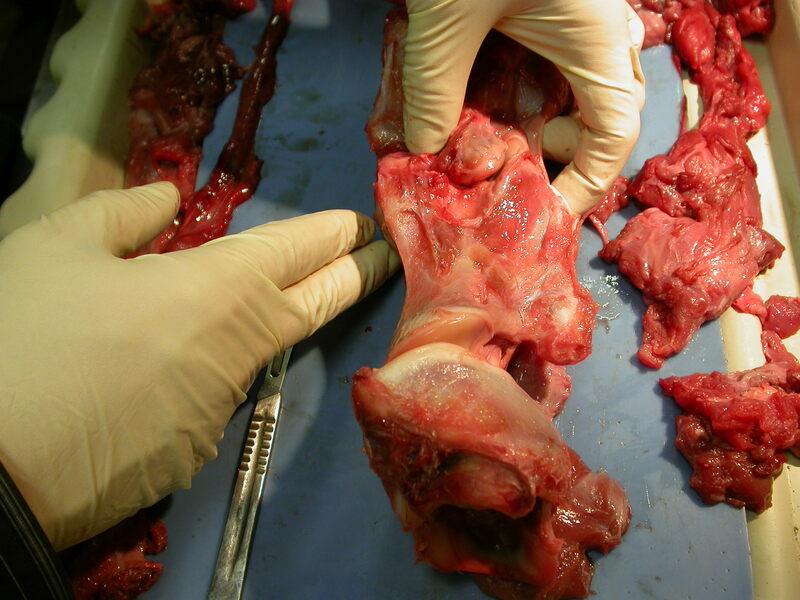 Once the skin is off, you can start removing muscles. Ideally, you want to identify each muscle as you go, and remove them one by one, so that you leave the major ligaments behind. In practice this is harder than it sounds, because the muscles in real necks are, inconveniently, not clearly delineated and labelled like the ones in books. Still, going slowly and carefully, it’s often possible to avoid cutting actual muscles but just the fascia between them, which allows you remove complete muscles. 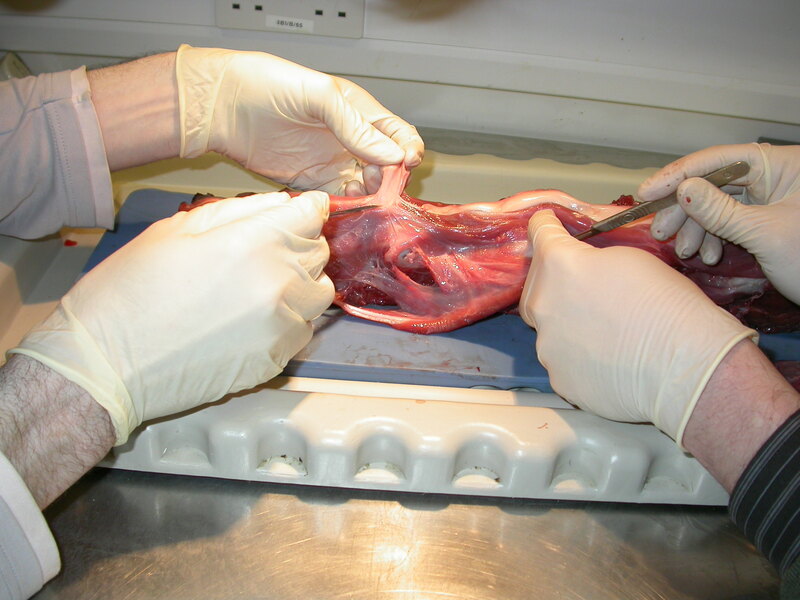 Done well, this can leave in place not only the nuchal ligament running along the top of all the neural spines, but the shorter ventral ligaments joining adjacent vertebrae. Now that the skin and muscles are both off — at least, so far as you can remove the muscles, which will not be completely — you can redo all your photos and redo all your measurements again. Yes, all of them. Because you just can’t tell what you’re going to be interested in later, and curse yourself for missing. Go right ahead. Remove the short ligaments, and do your best to get the nuchal ligament off all in one chunk — not quite as easy as it sounds, because it doesn’t just sit on top of the neural spines, but sort of encloses them. Measure the nuchal ligament at rest, then stretch it out as far as you can and measure it extended. Calculate how far it stretched as a proportion of the rest length. Compare this with what you learned from Alexander (1989:64-65). Hmm. Interesting, no? You can guess what’s coming now: redo all your photos and redo all your measurements yet again. You should find that the total length is the same, but who knows what you might find about changing flexibility? Also, your progressive sequence of mass measurements will tell you what proportion of the whole neck was skin, muscle, ligament, etc. Articulate the vertebrae in positions of “maximal” flexion, extension and deflection by keeping the centra in full contact and rotating each intercentral joint about its midpoint until the corresponding zygapophyses are displaced to a degree of your choosing. Try it with the zygs allowed to slide until they are 50% disarticulated, then with 75% disarticulation, then displacing until they are just past the point of contacting each other. Photograph all these poses and measure their deflection. 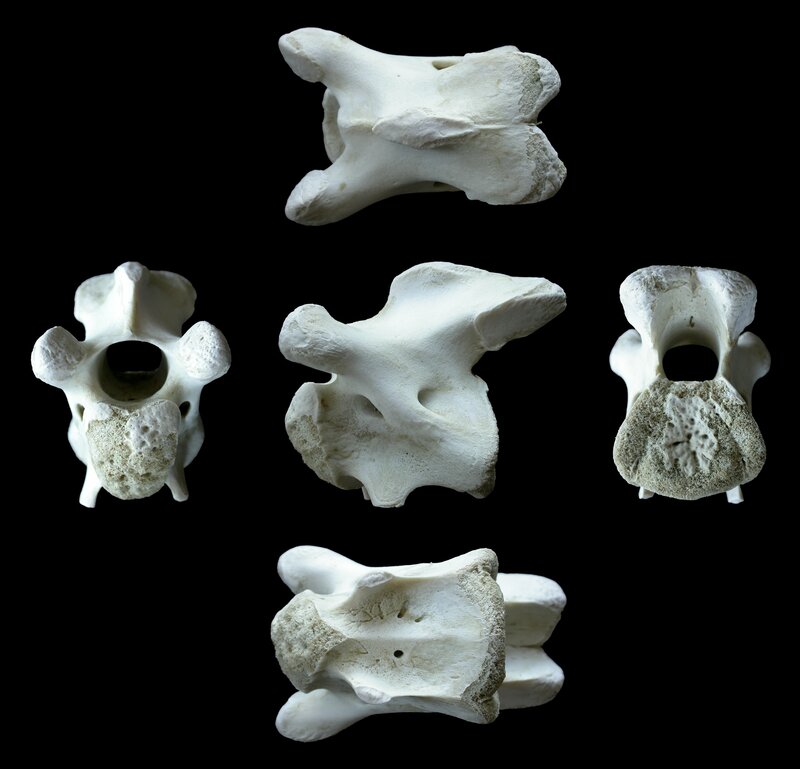 Compare these variant poses with those obtained when the vertebrae were still joined together, and when the ligaments, muscles and skin were still in place. 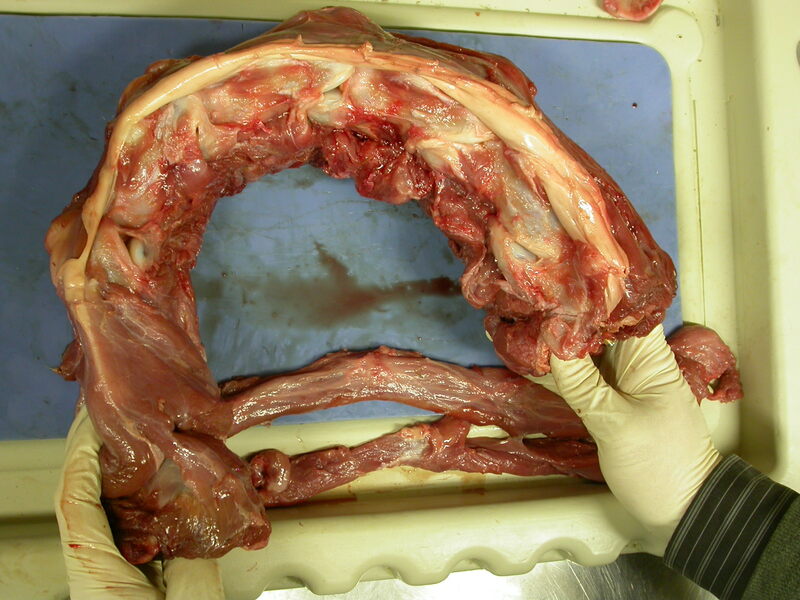 What degree of zygapophyseal disarticulation best matches the whole-neck bending ability? How does this vary along the neck? How does that this compare with what you may have been led to expect in the literature. Hmm. Using your earlier photos of the whole neck’s bending profile, arrange the vertebrae in the exact same pose. How much do the zygapophyses disarticulate in these poses? As you rotate the joints about the articulation of their centra, do the zygs just slide neatly past each other, or do they move far apart from each other as the neck bends? Interesting, yes? 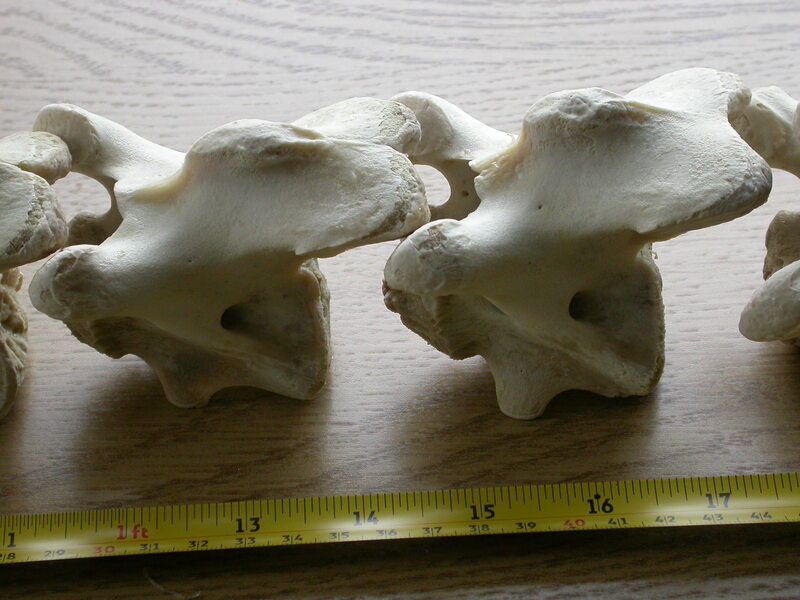 Once the vertebrae have dried out — and especially, once their cartilage is dry — re-measure each vertebra. Does the drying of the cartilage affect the centrum length? 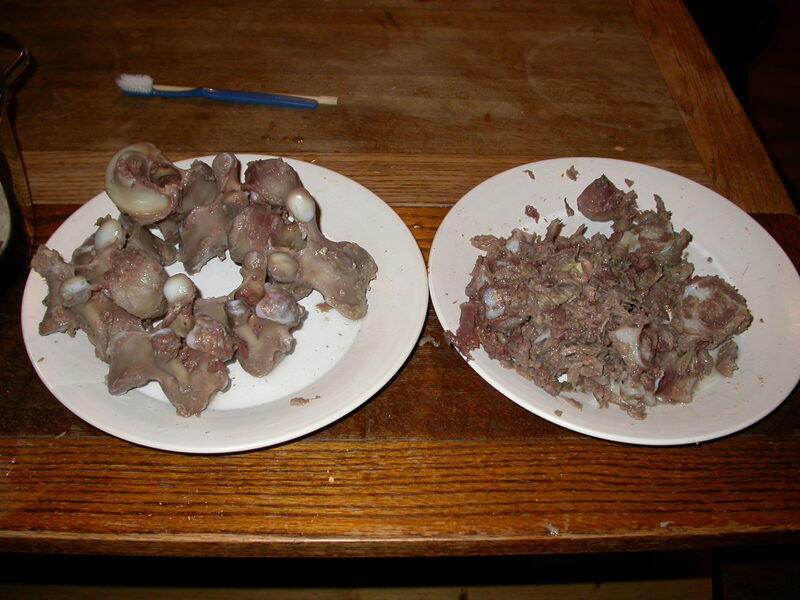 Simmer the vertebrae again and gently peel off the cartilage caps at the front and back of each centrum. Re-measure the centra: how long are they now? What proportion of each centrum’s length was cartilage? Articulate the vertebrae in “neutral pose” as you did back when the individual vertebrae were complete. How does the new “neutral pose” compare with the old one? With habitual life posture? Huh. Makes you think, doesn’t it? Articulate the vertebrae in positions of “maximal” flexion, extension and deflection as you did before, and compare your results with those from when the vertebrae were complete with their cartilage caps. Well! Who’d have thought? 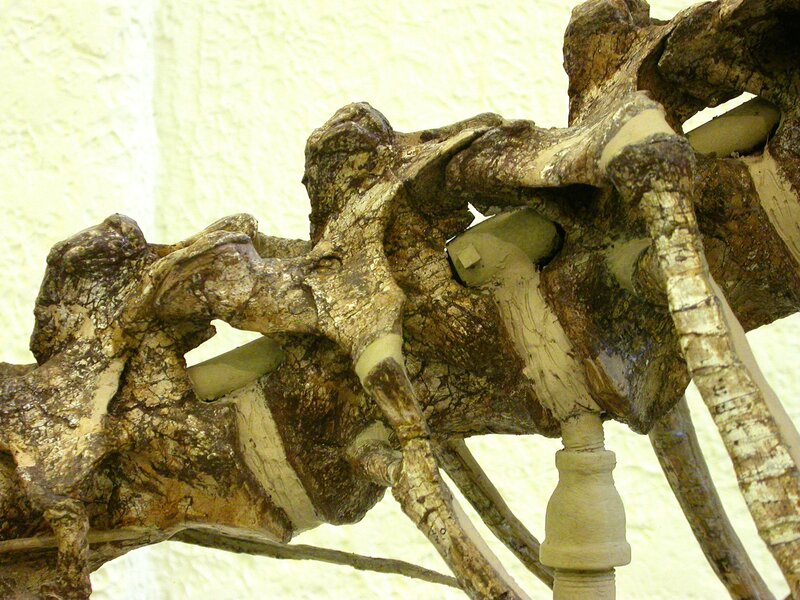 Now remember that the fossils we have of, say, sauropod cervicals are those of the dry bone only, with no cartilage. Think about how different the “neutral pose” and range of movement would be if we had the intact vertebrae with their cartilage. As I wrote this article, I found myself giving away more and more of a paper I’ve been planning to write, in which I go through essentially this process with a couple of necks, ideally from very different clades, and write up the results. Say, a giraffe, an ostrich and a croc. The extent to which the dry-bone postures and flexibility vary from those of the live animals would give us a reasonable starting point for thinking about how life postures and flexibility of sauropods might have varied from what we’d deduce from the dry bones alone. Wouldn’t that be a great little paper? I’m glad you asked me that. 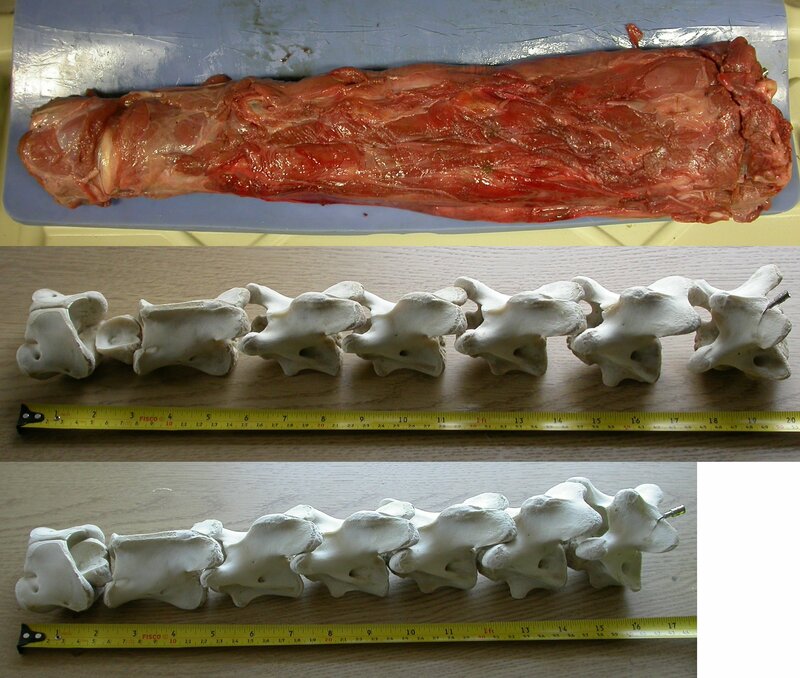 You’ll recall from last time that the fully fleshed neck — intact apart from the removal of the skin and maybe some superficial muscle — was 51 cm in length from the front of the atlas to the back of the centrum of the seventh cervical vertebra. 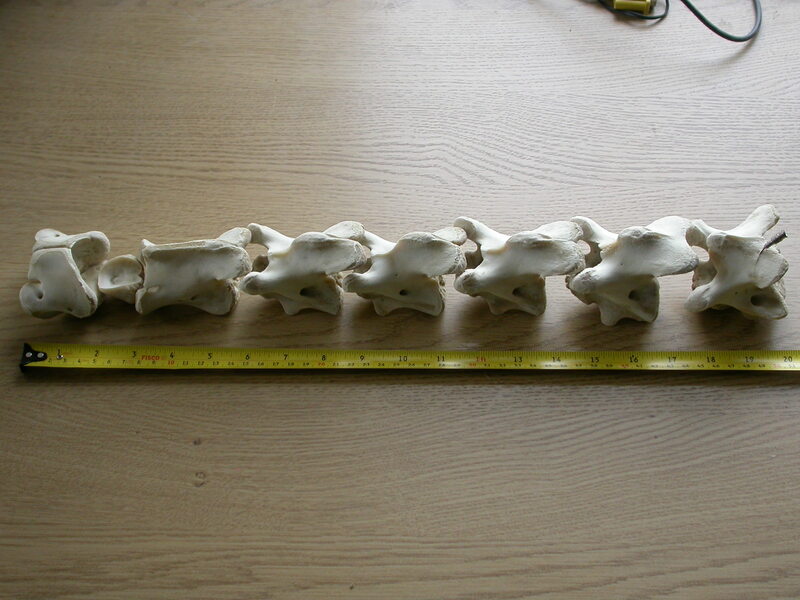 When I pose the cleaned and cartilage-free bones together, the total length of the series is only 41 cm — 10 cm shorter, coming in at just over 80% of the live length. Don’t believe me? Here are the photos! I’m sure I need hardly say, but the top image is the neck as we got it, the second is the cleaned bones posed in more or less the arrangement they must have been in life (both of these taken from the previous post) and the bottom image the bones fully abutting. So! The neck of Wallace the baby giraffe was very nearly a quarter as long again as the bones alone suggest. Does this mean that the neck of Giraffatitan was really 10.6 m long instead of 8.5 m? It’s an exciting prospect, but I’m afraid the answer is no. 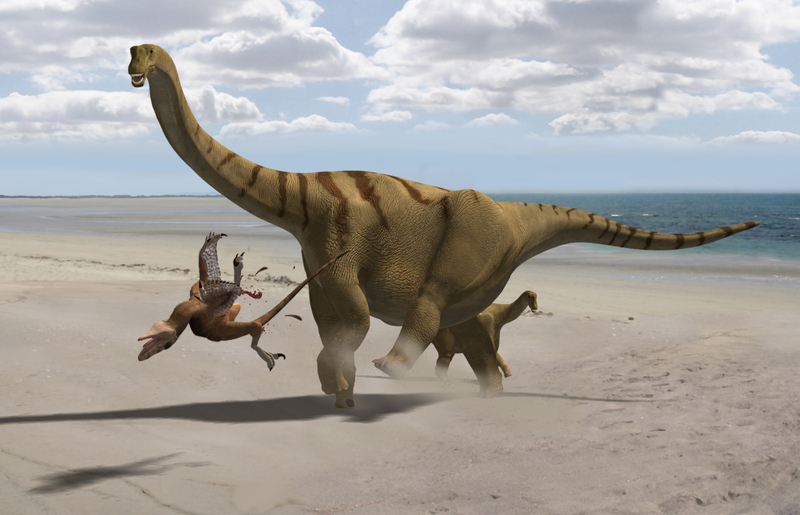 As I hinted last time, while it’s perfectly acceptable, indeed obligatory, to recognise the important role of cartilage in sauropod necks qualitatively, we can’t blindly apply the numbers from Wallace the baby giraffe to adult sauropods for two reasons: 1, Wallace is a baby; and 2, Wallace is a giraffe. The first of these reasons is part of why I am keen to do this all over again with an adult giraffe when I get the opportunity; but there’s not much we can do about the second. One might think that a more closely related extant animal such as an ostrich might have a neck that is more homologous with those of sauropods; and that’s true, but my feeling is that the giraffe is more analogous. 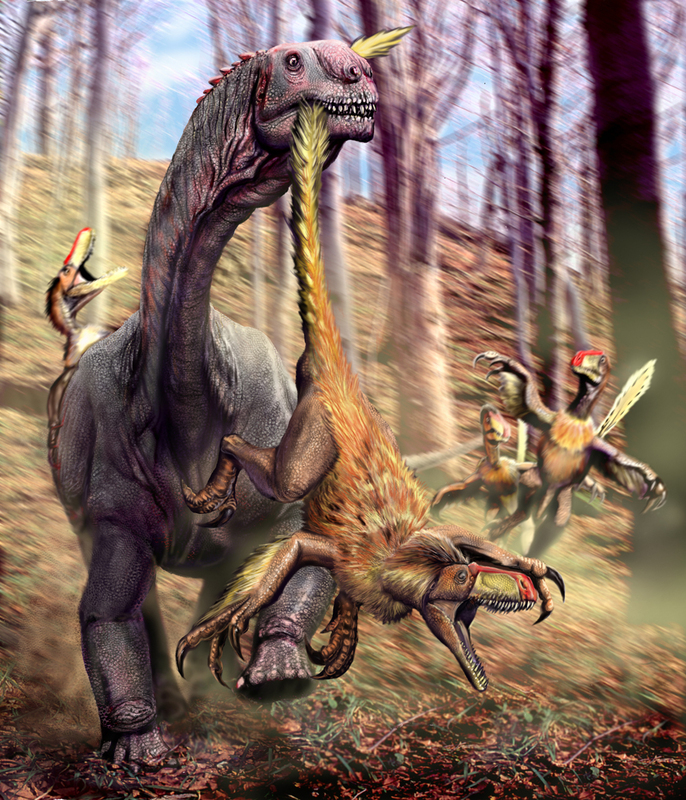 That is, although the birds share more recent common ancestry with sauropods, giraffes’ more similar size seem to have encouraged them to evolve cervicals that are in some ways more similar to those of sauropods, most notably in the possession of ball-and-socket intervertebral joints rather than the saddle-shaped joints that are ubiquitous in birds. If this bone were found in 150 million years by competent palaeontologists, in a world where there were no extant artiodactyls to compare with, what would they make of it? 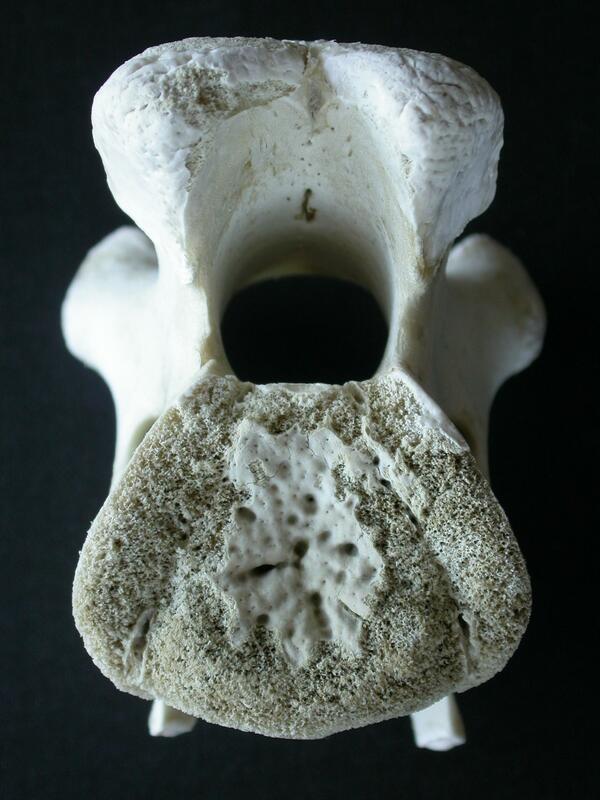 Most of the articular area of the centrum is very obviously damaged, exposing the internal spongy texture of cancellous bone — presumably the bone surface was attached more firmly to the cartilaginous posterior end of the element than to the inner part of the bone, so it came away with the cartilage during simmering. So it would be obvious to our future palaeontologists that the articular surface was missing, and that the complete vertebra would have been somewhat longer — but it would be hard to judge by how much. But the state of this bone is particularly interesting because the middle part of the centrum does have a preserved bone surface. It would be easy to extrapolate that out across the whole area of the posterior end of the centrum, and assume that this was the maximum posterior extent of the element’s functional length in life — an assumption that we know, having taking the neck apart ourselves, would be completely wrong. Are we making similar incorrect assumptions with our sauropod vertebrae? An even more interesting case is the postzygapophyses. The posterodorsal surface of the left postzyg is slightly damaged, but the bone of the right postzyg has a nice, perfectly preserved surface. But I can tell you that the functional articular surface of the postzyg was totally different from this: different size, different shape, different position, different orientation. If we tried to calculate range of movement from these zygapophyseal facets, the results we got would be literally meaningless. But while the presence of this texture indicates the presence of cartilage, I don’t know whether the converse is true. In the absence of such a texture, can we assume the absence of cartilage? I just don’t know. Anyone? 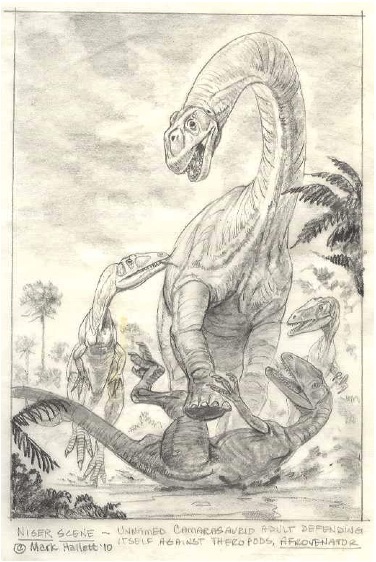 Since the publication of Brontomerus, which let’s remember was only a couple of weeks ago, Matt’s had the rather bad manners to post about another new paper of his — a review of prosauropod pneumaticity which might be uncharitably summarised as “Were prosauropods pneumatic? The fossils say yes”. As though that weren’t enough, he had the audacity to follow up with another post about an article he’s just had published in the Australian science magazine Cosmos. And it it’s all about the Ask A Biologist web-site. I’ve been involved in Ask A Biologist since its inception in 2006, yet I’ve not really written about it here, which is very remiss of me. I think it’s a fantastic resource, and the publication of a formal paper about our experiences running it seems like a good opportunity to fix that. 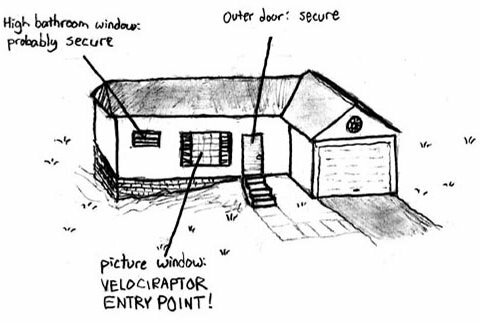 The somewhat frivolous question “What’s the best way to stop Velociraptor attacks?” attracted six answers. The first noted the general principle that it’s best not to go near large, fierce animals in the first place; the second went on to suggest climbing a spiral staircase, because dromaeosaurids such as Velociraptor had stiff tails that would have made them unable to negotiate tight bends; subsequent answers pointed out that the orientation of dromaeosaur wrists would have made it difficult for them to open doors as depicted in the Jurassic Park movies, and that, “in life” Velociraptor was much smaller than depicted on screen. It’s not unusual for a pop-cultural question like this to lead into answers that turn on details of anatomy: this we feel, can engage a child’s attention far more readily than conventional teaching methods and takes them farther than they might expect from what may have been a tongue-in-cheek question. Ask A Biologist was the brainchild of Dave Hone, who was also lead author on the new paper describing the site, outlining its history, and describing the advantages and disadvantages of the way it’s set up. Dave is to be congratulated for getting this up and running, pushing it through three incarnations from its humble beginnings as a special-purpose blog into its present rather slick version, and drumming up enough interest to have attracted more than half a million visitors, with answers to well over 3,500 questions. As the paper points out, this has been done almost entirely on the basis of voluntary labour, for a very modest total cost of £3,750. In terms of cost-effectiveness, this is spectacularly successful science evangelism. But the main reason Ask A Biologist is exciting to me is because it’s a manifestation of the Shiny Digital Future. As recently as a decade ago, there was a clear separation between working scientists and the rest of the world. Science happened over in a dark corner, and occasionally a scientist would deign to send a package of information out to the rest of the world. That’s changing, fast, thanks largely to the ubiquity of the Internet. 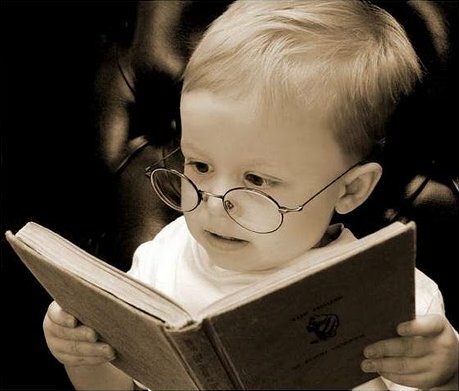 Blogs such as Tetrapod Zoology, The Open Source Paleontologist, and indeed SV-POW! have played their small parts in this process — not only providing a means for researchers to describe what they’re doing, but enabling anyone who’s interested to engage with the scientists. But sites like Ask A Biologist are arguably even more significant, because they provide such an easy route for non-specialists to be in contact with experts. By design, most of the questions are asked by schoolchildren: they may be phrased with any level of sophistication, and we make an effort to couch answers accordingly. It’s a privilege to be involved in something that has such a catholic audience. By all means, read the paper, which describes Ask A Biologist in more detail than I can here. But there are two more important things you can do. Those of you who are practicing scientists, please consider volunteering to be one of the experts who asks questions. If you’re interested, contact Dave Hone, who can set you up. It’s a great project to be involved in! Busy days. I just published a popular article on skeletal pneumaticity as a web feature at the Australian science magazine Cosmos. It’s entitled, “We are all air-heads: of sinus headaches and strangled birds”, and it includes a few things I don’t think I’ve discussed here, so hopefully even you regulars will find it a worthwhile read. I’d tell you more about it, but that would defeat the point, wouldn’t it? Go on over and check it out. While you’re there, look at all the cool articles by award-winning science blogger and Cosmos Editorial Assistant Bec Crew, who served as my editor in this venture. I’m grateful to Bec for her help getting the article bashed into shape, her patience with my own article revision incontinence (don’t laugh, some writer you know might suffer from ARI), and most of all her enthusiasm where gory tales of science are concerned. If you’re not familiar with Bec’s work at Save Your Breath for Running Ponies, you’re in for a treat. Set your drink down first so you don’t spew it on the keyboard laughing. UPDATE April 16, 2012: The paper is officially published now. I’ve updated the citation and link below accordingly. This is only kinda sorta published. The accepted manuscript is now posted on the APP website, and it has a DOI, but it’s not formatted or available in print yet. But after discussing it amongst ourselves, we authors agreed that (1) the paper is globally available and it’s silly to pretend otherwise, (2) there are no nomenclatural ramifications of that fact, and (3) we’re tired of not being able to talk about this stuff. So we’re gonna, starting…now. Back in 2004 I was in my third year of grad school at Berkeley. My fellow grad student, Brian Kraatz, gave me a heads up about the 19th International Congress of Zoology coming up in Beijing. Attendees could submit 500-word abstracts or 2000-word short papers. I didn’t plan on doing either one, until the night before they were due, when I changed my mind and wrote almost all of what would become this paper in a single six-hour session (don’t be too impressed; I’ve been trying to replicate that feat for seven years with no success). That summer, I met up with Brian in Beijing a week before the congress, and we spent the extra time working in the collections of the Institute of Vertebrate Paleontology and Paleoanthropology (IVPP). Paul Barrett was there, working on prosauropods, and he and I had some long and fascinating conversations. We also gave our talks in the same session at the congress. Paul must have decided I was not a complete moron because he invited me to give a talk in the basal sauropodomorph symposium at SVP in 2005. 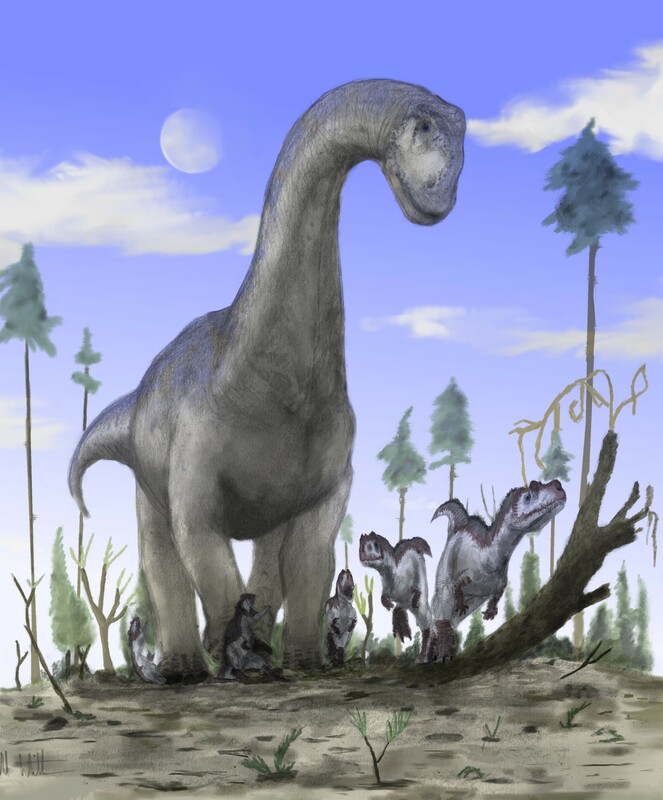 A brief aside: many of the animals I grew up calling prosauropods ended up outside of the monophyletic Prosauropoda that is anchored on Plateosaurus. Some are now basal sauropods, some are closer to sauropods than to Plateosaurus but outside of Sauropoda, and some are outside of Prosauropoda + Sauropoda. 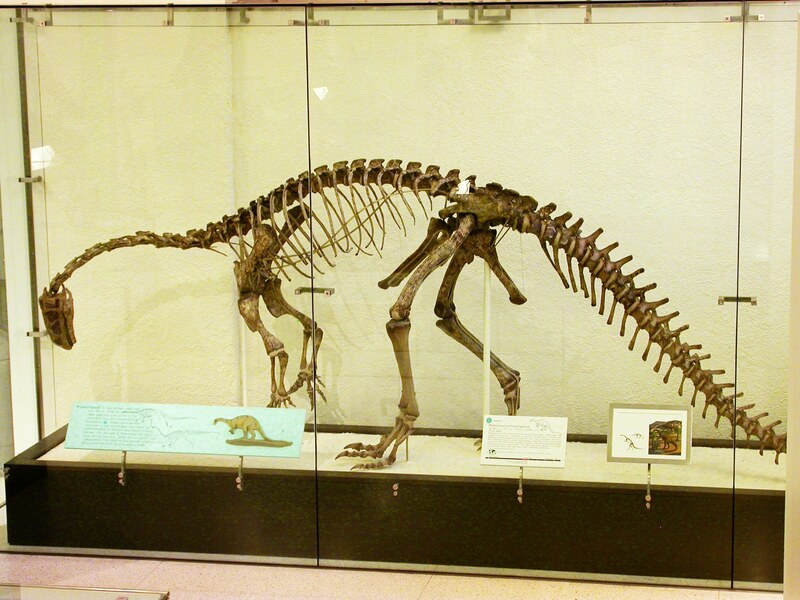 The phylogenetically correct term encompassing all of the nonsauropods is ‘basal sauropodomorphs’, and it means roughly what ‘prosauropods’ did until a decade or so ago. I often slip into informally using ‘prosauropods’, but I try to remember to put the term in quotes so as not to mislead anyone. Anyway, with all of that accidental experience with ‘prosauropods’ and other interesting critters like Erythrosuchus, I found that I actually had something to say in 2005 SVP symposium. I titled my talk, ‘What pneumaticity tells us about “prosauropods”, and vice versa’, and it turned into the 2007 paper of the same title. None of this would have happened if Brian hadn’t hounded me about going to Beijing, and if I hadn’t ended up talking so much with Paul on that trip, and if I hadn’t finished up with Janenschia on my first day in Stuttgart and spent the rest of the week playing with Plateosaurus. And so on. Science is unpredictable, especially for scientists. 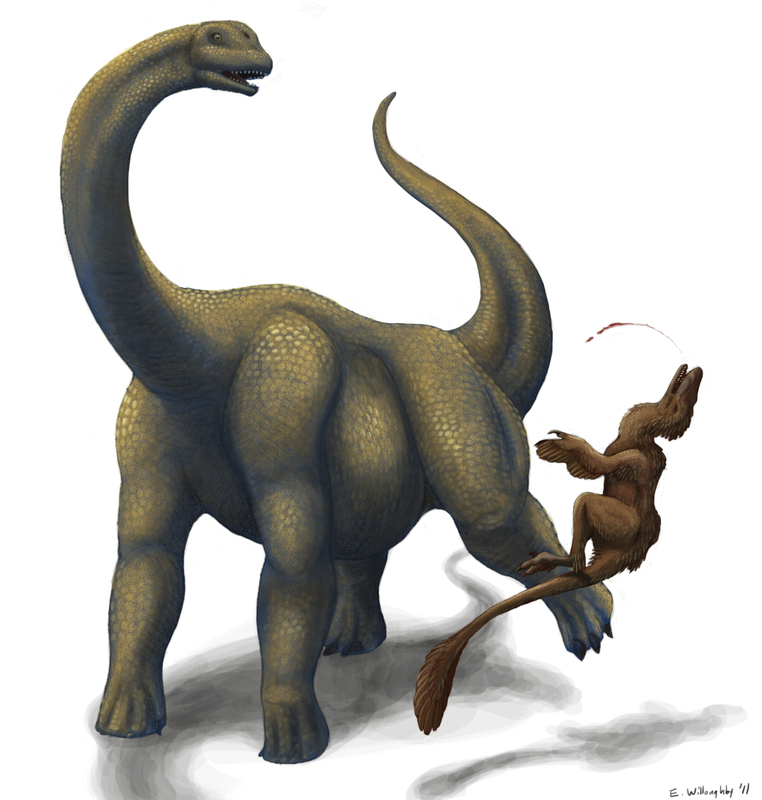 When I sent around the PDF of the paper to friends and colleagues, I included this quip: “Were prosauropods pneumatic? The fossils don’t say. Somehow I stretched that out to 16 pages.” Mike claims that because of this quip he’s never been able to take that paper seriously. But it is my favorite among my solo efforts. It includes loads of stuff on the origins of air sacs and pneumaticity that I wasn’t able to get into my earlier papers, either because it wasn’t directly relevant or because some reviewer forced me to excise it. Almost immediately after the paper came out, Adam Yates and Matt Bonnan went and found roughly a zillion pneumatic ‘prosauropods’, which was a bit embarrassing since I’d just concluded that the evidence for ‘prosauropod’ pneumaticity was thin to nonexistent. So it is a damn good thing for me that I was already on friendly terms with both of them, because instead of taking the opportunity to smack me down, they invited me on board. Which led to Adam’s talk at SVP in Bristol in 2009, and to the new paper. You see the problem here, I’m sure: the semi-big, semi-obvious fossa divided by an accessory lamina, not consistent with a muscle attachment point or fat pad or cartilage or infection, but very consistent in both form and location with the pneumatic fossae of other, more derived sauropodomorphs. 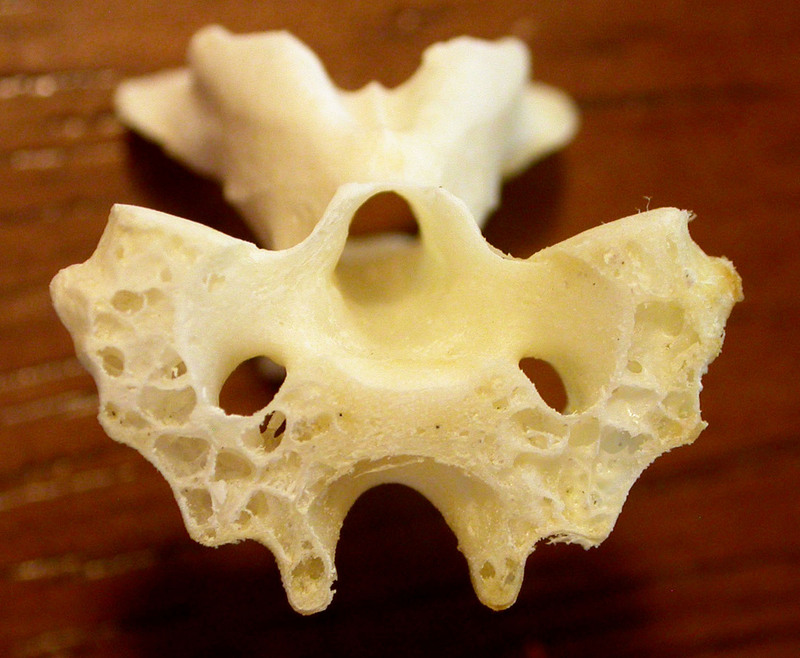 On the lateral face of the vertebra, probably seen by millions, obvious to anyone who cares to look. A pneumatic prosauropod, in other words, right out in public for decades and decades (this time I don’t have to use the scare quotes because Plateosaurus actually IS a prosauropod sensu stricto). I didn’t even notice the first time I visited the AMNH back in 2006. I took the above photos, which are the basis for Figure 4 in the paper, in 2009. 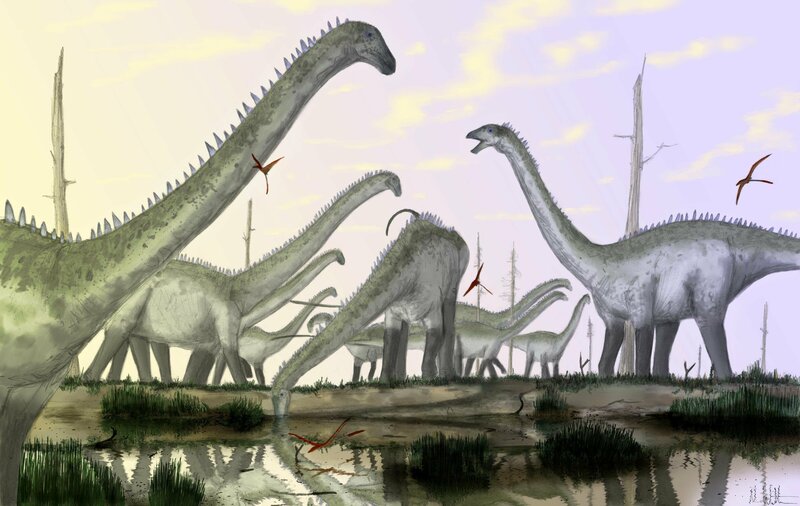 So: ‘prosauropods’ were pneumatic. Some of them. A little bit. If you’d like to know more, please read the paper–it’s free. Finally, a big thank-you to Adam and Matt for inviting me to be part of this. I think it’s pretty cool stuff, and I’m sure I’ll have more to say about it in the future. They might too–you should be reading their blogs, Dracovenator and Jurassic Journeys, anyway. We’re still not done with Brontomerus, by the way. If nothing else, there’s the long-overdue post on how sauropod ilia change (or rather fail to change) through ontogeny. But that’s something we’ll have to get back to next week. Stay tuned.